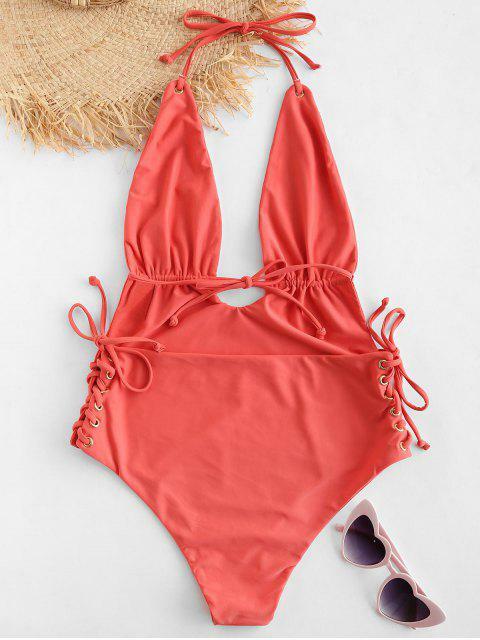 [22% OFF] 2019 ZAFUL Lace-up Low Back Halter Swimsuit In LIGHT CORAL | ZAFUL .. 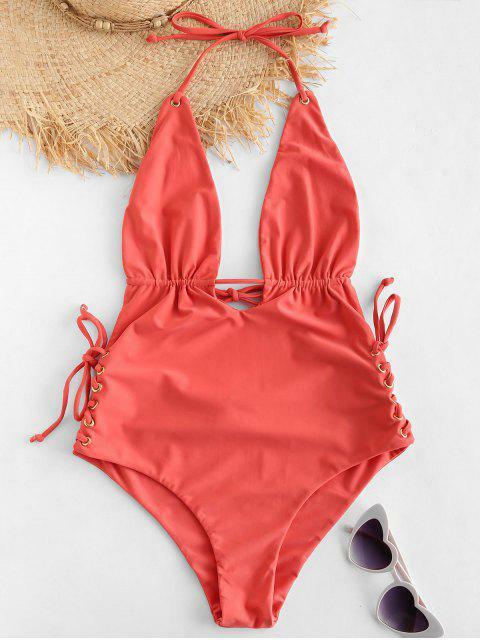 Cozy and effortless to wear with on-trend bralette design, this one-piece swimwear meets all your needs for chic swimsuits of exquisite details. Lacing-up on sides accents the high-cut legs while the drawstring strap slims the high-rise waist for a stunning look. And the grommets decorate the straps offering a unique vibe.